Objective Anneal a brazing wire for preform production. Material Copper Nickel Silver 2774 Alloy rod 0.070″ (1.8mm) diameter. 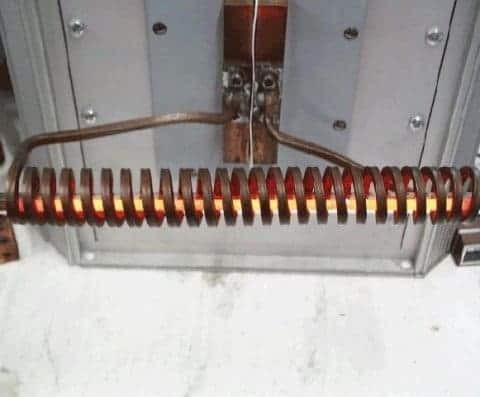 Equipment • DW-UHF-6KW-III induction heating system equipped with a remote workhead with one 1.0 μF capacitor, and a 4-20 mA input controller to aid in voltage ramping. 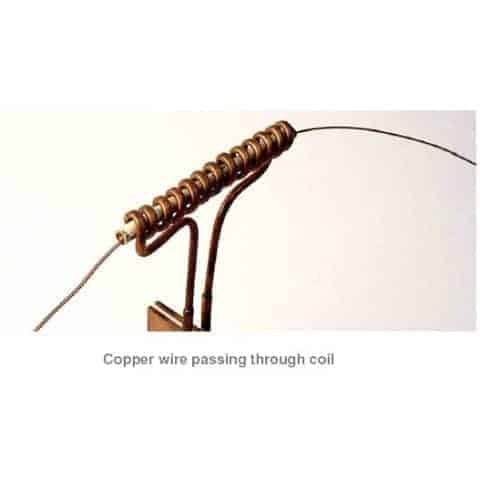 Process A unique helical coil consisting of four consecutive coils connected in parallel with a quartz tube lining is used to heat the wire to 650ºF (343.3ºC) for annealing. Induction Heat Treating for Annealing copper wire,Silver wire,steel wire and metal alloy wire,etc.